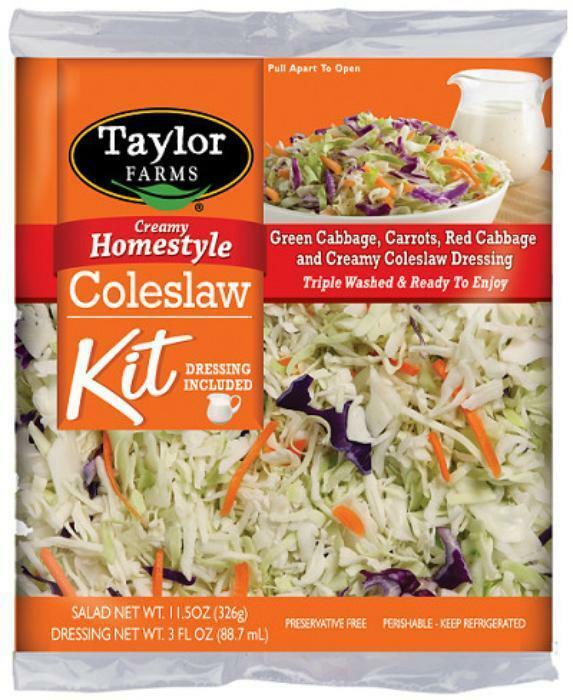 Taylor Farms Retail of Salinas, Calif., is recalling 293 cases of Taylor Farms Creamy Homestyle Coleslaw Kits. The kit's dressing packet contains milk, an allergen not declared on the label. There are no reports to date of adverse reactions due to consumption of this product. The recalled item was produced on July 31, 2017, and has a “Best If Used By Date” of 08-16-17 with the lot code: TFRS212A07C on the front of the bag. Consumers with questions about the recall may contact the firm's consumer hotline at 855-455-0098.